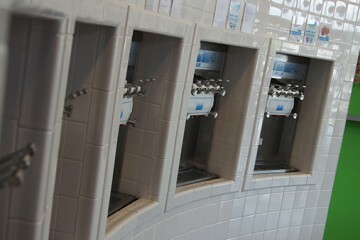 We can take your own plans and build your commercial project. 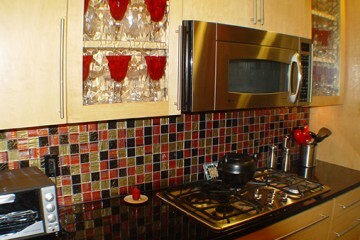 We also offer a complete design-and-build alternative. 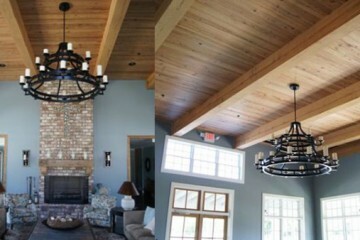 Our design and build team takes a very cost conscious approach and tries to accomplish your goals. 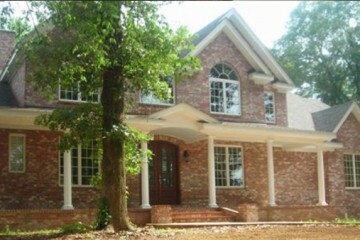 Let us build your dream home. Whether you need an old home demolished or you have a clear lot just waiting on construction, we can take all the necessary steps to insure your home will last. We have an enthusiasm for our work, and this has allowed us to develop both a proven record of accomplishment and a solid reputation within the community. We ensure that all projects are handled with the utmost professionalism, using quality materials, while providing our clients the necessary support and accessibility. For our company, honesty is the only policy. We strive to complete all projects with integrity—not only with our clients, but also with our suppliers and contractors. 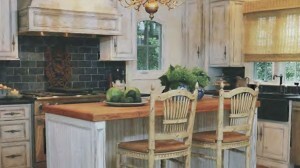 With a record of numerous successful projects, we are trusted by customers and vendors throughout the mid-south area. We utilize the best of tools and technology to ensure that all projects are handled both quickly and efficiently. We commit ourselves to completing all projects within the time frame set jointly with our clients. 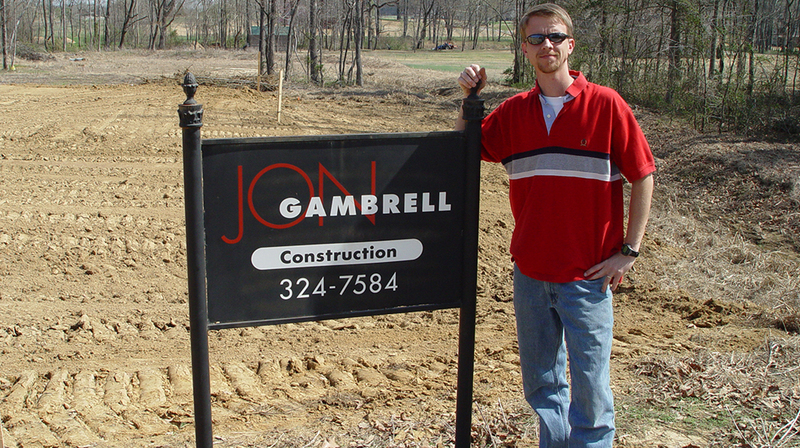 Since 1987, Jon Gambrell Construction has served the contracting needs of the mid-south. 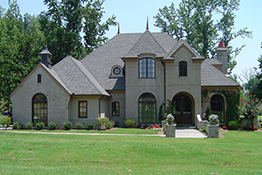 Building custom homes, remodeling existing homes, and adding grand additions has been the specialty of the company for many years. The same qualities which provided us with success in the residential market have led to several commercial projects. 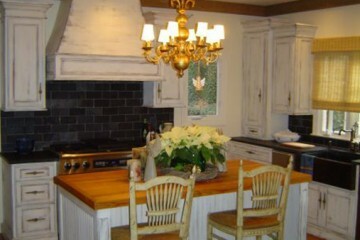 Jon and his crew members work throughout the area on remodels, additions, and new construction projects. 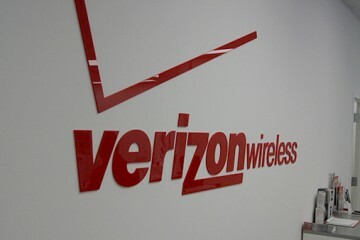 Our company strives to maintain the highest standards of our industry while exceeding the expectations of our clients. We at The Great Yogurt Factory couldn't be more pleased with the quality and planning that Jon and his team applied to our first retail location build out. From an empty shell to fully finished store in under 60 days was fantastic. Most impressive was his care for quality of the work, his careful planning to meet or exceed all of our needs, and his attention to the finish out detail was greater than our own. He is a great Christian family man with a God given gift. We will be honored to have "Eagle Eye" and his team to be in charge of running all of our future projects. After purchasing a 25 year old home, we discovered major problems with the heating and air conditioning ducts. Our only solution was to build an attic over the existing house in order to relocate the ducts. When choosing companies and individuals to do business with, we have always relied on word of mouth recommendations, and it was our good fortune that Jon Gambrell was recommended to us. Not only did he build our attic, but he also recommended an excellent company to install the new HVAC system and coordinated his work with theirs. We decided to add several other small projects because we felt that Jon's prices were fair, and he always went above and beyond our expectations to do a quality job and to make sure we were pleased. We would not hesitate to pass the word along and recommend him to others. 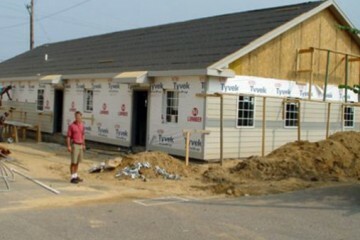 Jon Gambrell was the general contractor at The Country Place, to build the Harvest and Hospitality Inns at The Country Place and he will be the contractor on any future buildings that we build! I have never worked with a contractor who is so committed to the customer. There are so many ways that I could compliment Jon during the entire process. Being a non-profit ministry, possibly the most appreciated aspect about Jon (besides his love for the Lord) was his desire to be sure that we were getting the best price we could while remaining true to the quality of the product. Jon was always willing to listen to ideas as we moved forward and kept us abreast of the impact these changes would have to the overall cost. He consistently sided for us when issues would arise with the subs and always "went-to-bat" for us when needed. You could tell that all the subs respected Jon and respected the rules that Jon sets for his job sites. 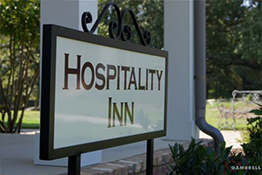 I have recommended Jon many times since we have completed the Inns and in every case, they are impressed with every aspect of the character that he possess. It was truly a joy to work with Jon. In the past, I had had very unsatisfactory experiences with contractors at The Neighborhood School. Then a good friend told me about Jon. He proved to be all she told me he would be! He knew that we had limited funding to build two cottages for students to live in, and he saved wherever he could to make it possible for us to complete the job. He sets high standards for his sub-contractors and they know it and respect him for it. Above all, he is a Christian who reflects that fact in all of his work. The word that best describes Jon Gambrell is "honest." He stands behind his work, and you can trust him. Not only did he create a beautiful addition to our home, he continues to help us find good people for smaller projects three years later. We have enjoyed our experience with Jon and we would use him again without hesitation. Working with Jon on this project was a pleasure and a privilege. He kept his word at every point along the way and far exceeded all my expectations. I can vouch for his sterling character and outstanding judgment. He tackled every problem head-on and managed to bring the whole project to an exquisite and breathtakingly beautiful end. 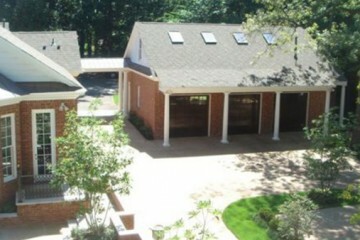 Jon Gambrell renovated and expanded our house in High Point Terrace. The quality of everything he did was evident from start to finish. The integrity of his character was evident throughout the process. When Jon tells you he is going to do something, he does it, does it correctly and on time. I would wholeheartedly recommend him to anyone contemplating having work done to their house. Jon built a new home for our expanding family over a year ago and we couldn't be happier. He had a great concern for meeting our expectations--even when they changed midstream. He went to great lengths to complete the project on time, including having painters on site around the clock in the final week. We moved in within nine months of demolition! Not only was the construction exactly what we expected, but every inch of the interior was meticulously cleaned for our move-in. We found Jon to be trustworthy, upfront, and fair in all of his dealings and he has stood behind his work 100%. In short, our experience with Jon was so pleasantly different than the horror stories we've heard from others who have built homes using other builders. 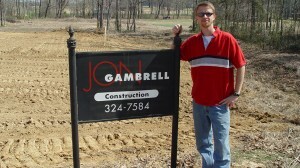 We highly recommend Jon Gambrell Construction! I never knew house building could be so fun! Jon is above-all ethical, honest, respectful and informed. Jon's estimates were admirably accurate and when I wanted to start adding on, he listened and said something like, "Oak stairs would be really pretty, but each of those treads will cost you x$ more, so the whole stairway will be x$ over budget." That made it so easy to decide where the "over-budget" money should go. 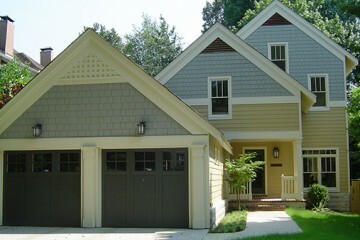 Working with Jon to build my house from scratch was such a positive experience that I will not hesitate to do it again. Jon Gambrell is just an incredible human being who happens to be a great builder. He has handled The Neighborhood School business for some time. He completed two dormitories for us and was a joy to work with. Jon always looks out for our best interest even when it may not be the best for his company. He has a heart for people and solving problems. I love what Jon stands for and consider that I gained a friend over the course of the projects we have done together. Jon did an excellent job, faster than he promised. He was in contact with me each day and keep me up on the progress. He is the only contractor I would recommend. Our promise as a contractor is to build community value into every project while delivering professional expertise, exceptional customer service, and quality construction.